Daniel Joseph Nolan was born on August 10, 1919 in San Diego California and named Nolan Daniel Ausenhus by his Norwegian immigrant parents. He was raised in Chloride Arizona by his father after his mother died when Daniel was eight years old. As a young adult he changed his name for simplicity. He attended Los Angeles Community College for two years before volunteering for the Army Air Corps in 1941. 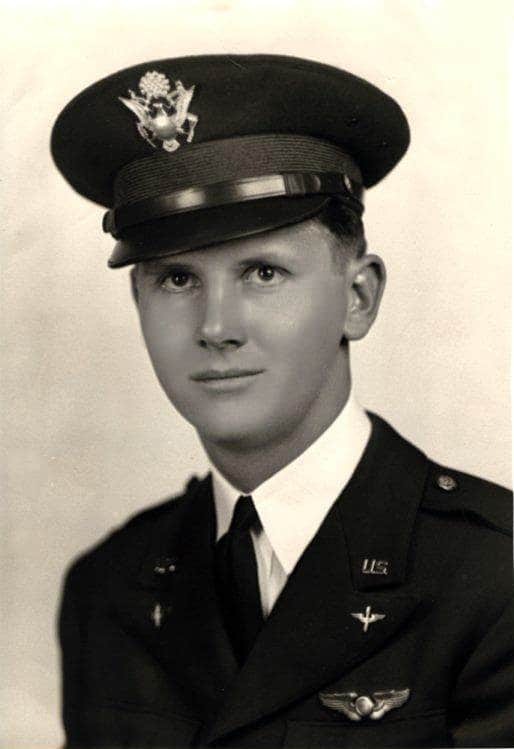 His eyesight would not allow him to be a pilot so he became a bombardier/navigator and saw extensive combat in B-25 Mitchell bombers in the Pacific during World War II. He left the service in 1945 as a 1st Lieutenant. After the war he returned to school at the University of Redlands and the University of Southern California receiving his Masters of Education. He taught high school math for 27 years. His 60-year marriage to Mary Lillian Tudor of Sweetwater Texas began shortly after the war. Together they raised three children Terry, Brent and Gail. A country could not have a better patriot, a wife could not have a better husband, a son or daughter could not have a better father and a student could not have a better teacher.